Volunteer Coordinator at Squawk Radio. Hiroshi's old roommate. Spitfire. Hey folks! 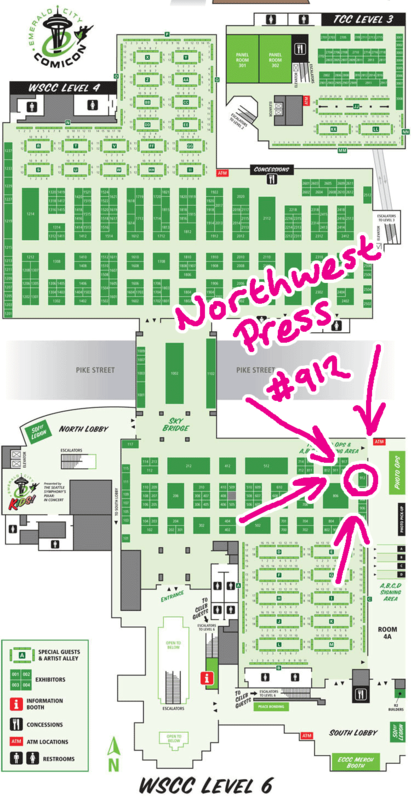 Are you in Seattle or are you going to be in Seattle this weekend? 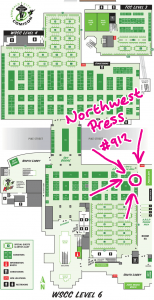 Come see me at Emerald City Comicon, table #912 with Northwest Press & Friends. It promises to be a blast (look at the size of this thing, wow, wow, wow). Also, if you read my update last week you remember that the independent radio station where I volunteer & DJ (CHIRP Radio, which Squawk Radio is loosely based on) is having a spring fund drive RIGHT NOW. Because this is important to me, I’m offering an extra incentive to anyone who donates and mentions me where it says “how did you hear about CHIRP”—I’m making a mix, which will be an awesome mix I promise. If you donate just $10 I will email you the mix. If you donate $25 or more you’ll get it on CD and I will sketch a cover for it. You can donate at chirpradio.org/donatenow. But hurry! The fund drive ends this Friday.